A large part of working with teenagers in the wilderness is reminding yourself over and over again that while they may be able to think and talk like adults at times, their emotions are constantly running on overdrive. The frontal lobe, responsible for crucial tasks like decision-making and judgment, lags behind, not fully developed until early adulthood. 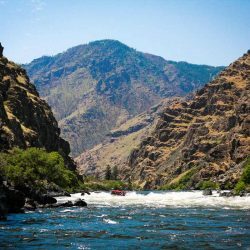 My co-Instructor and I watched as our team of teenagers paddled away from a bright red life-jacket sitting on the shoreline, after we’d asked them twice to check behind for forgotten items. “Remember their frontal lobes,” prompted my co-Instructor. “Yes, but what about their frontal eyeballs?” I lamented. While nearly all of my teenage students exhibit bewildering and frustrating behaviors at times, some are more resistant to coaching, more defiant toward rules, and less considerate to their peers. 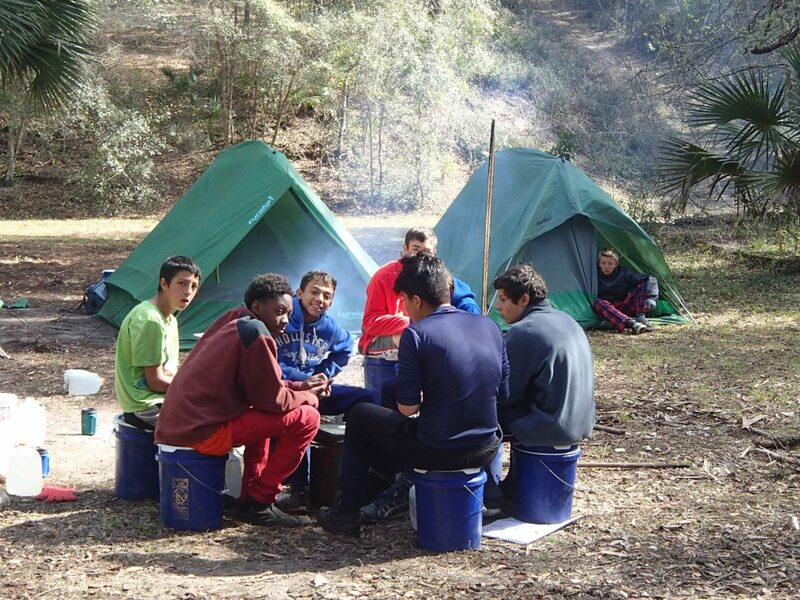 Here are some of the tools I’ve learned to increase outcomes for these youth over my eight years of instructing for Outward Bound and other programs. Some teens seem to yearn for risk and excitement, which they’ll cross lines to get to if not provided with avenues for healthy risk-taking. It may take the form of standing too close to the edge of a waterfall, wandering off alone in the woods to “explore” or challenging each other to hot-sauce-eating contests. Whenever I notice these sorts of behaviors cropping up in my team, I know that they need more risk. 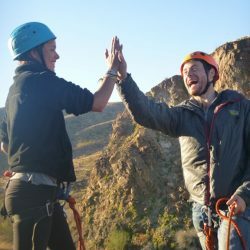 As a team, we can address that by teaching the skills to paddle on a windy day, going rock climbing or hiking at night and navigating by compass. The activities needn’t be inherently dangerous—it’s the sense of danger or risk that’s more important. 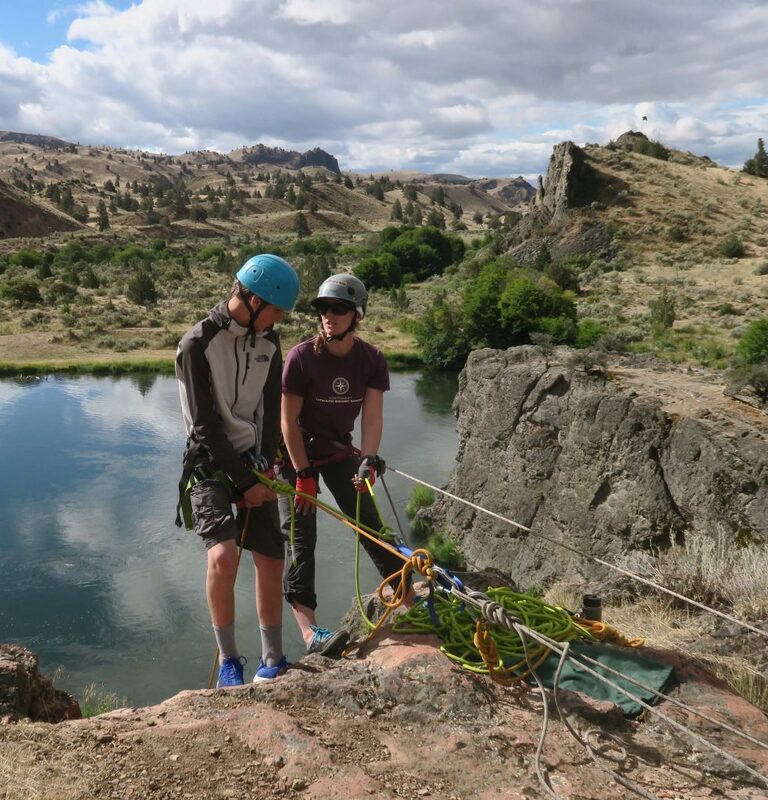 Rappelling off a cliff’s edge can feel dangerous, even though one is tied to two different ropes and moving at a snail’s pace. Allowing room to fail goes hand-in-hand with risk-taking. Some teens refuse to accept anyone else’s word in place of their own experience. I can repeat myself until I turn blue in the face telling the team to lift the food packs properly or they’ll tear, or I can teach them to sew. Some teens struggle with defiance, bristling defensively any time they perceive they’re being told what to do. However, they often do need to be told what to do: “Don’t set your stuff there—that’s poison ivy!” Or, “We need to stop here—the thunderstorm is too close to keep paddling.” Knowing there are times I’ll need to cash in my ability to give a command, I counter that by banking up as many choices as possible. I can let them choose between two meals for breakfast—both involve crunchy stuff floating in water and powdered milk, but the decision is theirs. I can let them choose between two campsites a quarter-mile apart, knowing they’ll always choose the closer one. I can let them choose between two wake-up times, knowing they’ll always choose the later one. Our days are made up of many tiny decisions with few consequences, perfect for the team to feel like they have power over the course of the day. And as their skills progress and they master aspects of wilderness travel, I can give them increasing amounts of responsibility and autonomy. Similar to the sense of danger being more important than actual danger, the sense of autonomy can sometimes stand in for real autonomy. I can present the team the maps and tell them to choose the route back to the base camp, knowing there’s only one viable route, the one we have planned. I can tell them the food packs are theirs to manage—they can eat whatever they want whenever they want—knowing that inside, they’ll only find the same meals they’ve mastered cooking over the past two weeks. We may end up eating mac and cheese for breakfast, but that’s an inconvenience worth it to me for their gained sense of autonomy. By the time our students arrive for their three- or four-week expedition, my co-Instructor, supervisor, and myself have already put in days of planning and preparing. We’ve designed an expedition, curriculum, route, food plan and contingency plans based on all the information the admissions department has given us about the teens coming into our care. It’s easy to feel attached already to the outcome of the trip—the desire to reach our goals, finish our route, eat most but not all of our food, and hold space for these teens to build life-long friendships and change their lives. The reality is that the outcomes will be what the teens want them to be. We can’t force them to reflect, to understand or to accept. Being a successful Instructor includes recognizing when you need to remove your own ego from the equation. I still struggle with this, as most of us are in the field of adventure education because we care about youth, and we have experienced first-hand the positive effects of time in a group in the wilderness working hard together. I am often reminded that the best advice and support a student receives may not come from me, but from a peer. While that doesn’t lessen the intention I put into praising their successes and taking quiet moments to check in with each student, I know that they can have an epiphany without me needing to hear about it. In a similar vein, my co-Instructor and I stay up long after the team is asleep each night planning the next day and discussing each of our students. However, our students’ appreciation for us may not be proportional to the work we do to care for them. As the adults, we needn’t take it personally—our job is not to change lives, but to create space for teens to change their own lives. Put yourself back in your teenage years for a moment. Sure, the world has changed and will continue to, but we can agree that being a teenager has always come with challenges. Trying to empathize, even if briefly, can help bridge the gap in perspectives—allowing room to respond compassionately and move conversations to a productive space. The strategies above take work, but your effort will be rewarded—maybe not immediately, but you will see change if you stick with it. 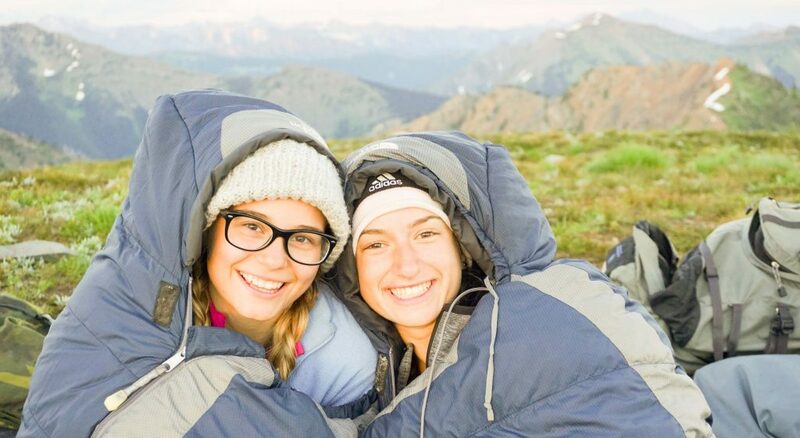 While the vast majority of Outward Bound students are focused on life-changing experiences and journeys, one specialized program—Intercept—has broader goals and responsibilities in mind. This group of students is struggling, at home or at school, and there is conflict or concern within their closest relationship circles. Call us to get more information or help in finding the right expedition: 866-467-7651. 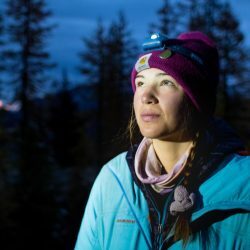 Renee Igo was an Outward Bound student at age 15, and has been instructing wilderness expeditions for the Voyageur Outward Bound School for the past eight years. When not instructing, she holds a variety of other teaching positions and raises sheep in Maine.